On June 6, US President Barack Obama announced that he will nominate Mignon Clyburn for a new five-year term as one of five FCC Commissioners. Clyburn, a Democrat, came to the Commission in August 2009, filling the unexpired term of Republican Deborah Taylor Tate, whose tenure as a Commissioner came to a close in January 2009. Clyburn's current term expires June 30, 2012. "In renominating Commissioner Clyburn, President Obama has made an outstanding choice for the Commission and for the American people," said FCC Chairman Julius Genachowski. "As I know from working with her for the past several years, Commissioner Clyburn is a strong leader, focused on helping all Americans harness the benefits of broadband. I congratulate her." 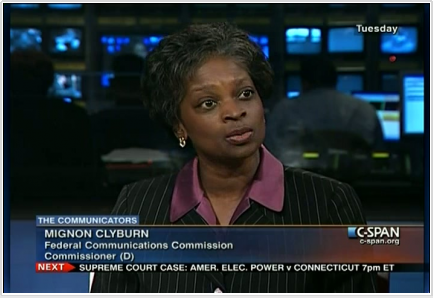 Read more here: http://www.arrl.org/news/president-obama-announces-nomination-of-mignon-clyburn-for-new-term-as-fcc-commissioner.